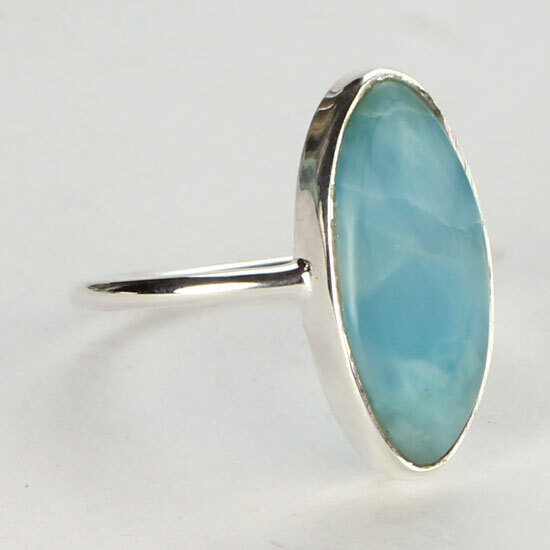 Larimar Ocean Blue Freeform Ring. Mined only in the Dominican Republic. 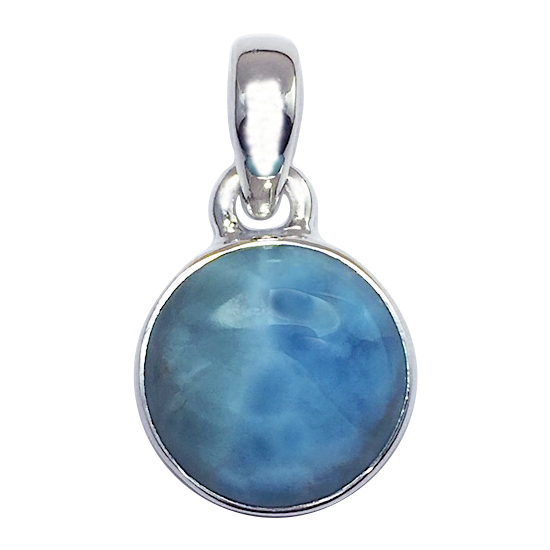 It’s oceanic patterns and colors balances sea and sky energy, soothing the mind and heart. 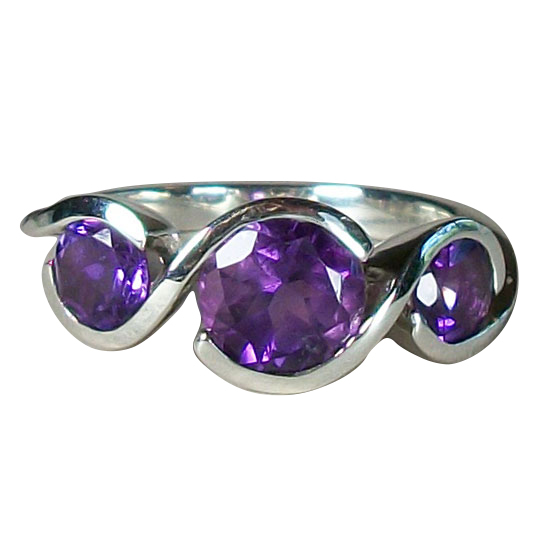 These freeform rings come in a varriety of shapes. 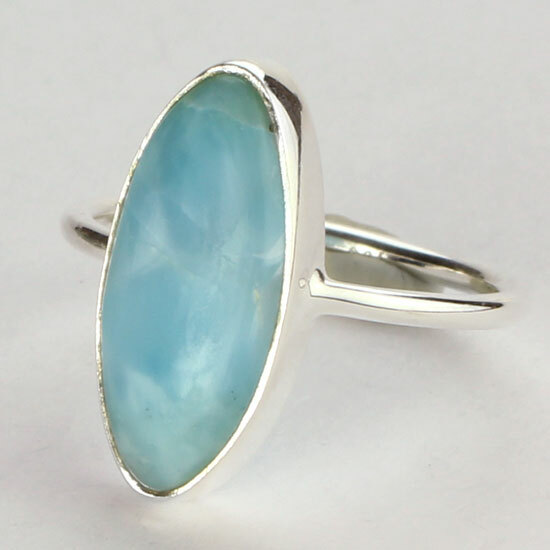 Each one is a high quality beautiful blue color larimar. 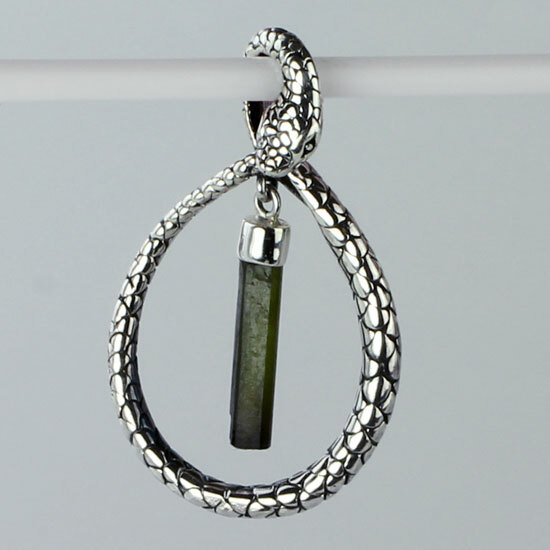 Stone size approx. 1/2" - 3/4" . 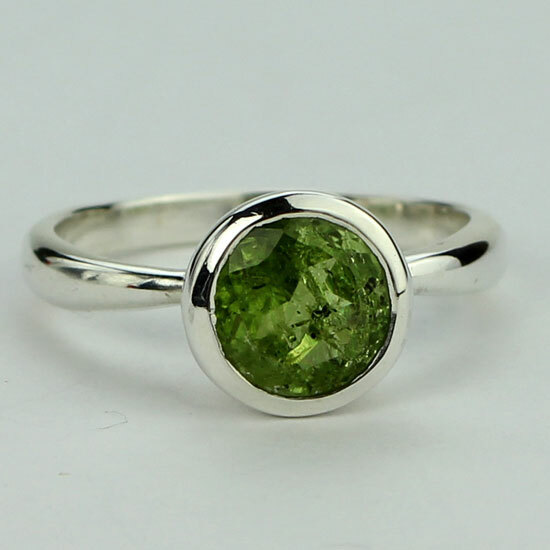 Each stone is uniquely Beautiful.